As energy prices continue to rise, many people are turning to alternative resources. 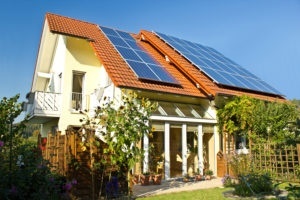 One of the most popular methods is solar panels. According to Business Insider, it was estimated that by February 2016, there would be a million US home using solar energy. So whether you want to save a little green or go green, check out some more information about solar panels. Solar panels are devices that convert light into electricity. They are constructed using silicon which is then placed under non-reflective glass. These plates typically last about 25 to 30 years and are usually covered under a warranty during that time. A panel is made up of solar cells, which produce electricity when they are exposed to sunlight. The more light that hits the cell, the more electricity is produced. The cells then convert the sunlight into direct current (DC) electricity. The DC power is then converted into alternating current (AC) electricity, which is what used to power our homes and businesses. In most cases, the roof of your home or commercial building will be used for installation. Using a mounting system, the panels are connected directly to your roof. 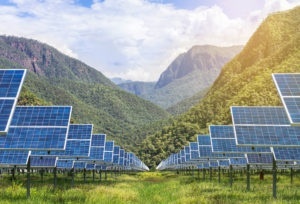 These panels are connected to an inverter, which converts DC power into AC power and is then funneled into your home or business. This energy can then be used to create electricity and heat water & air. If possible, the panels should be installed on either the east or west side of the roof so they can receive as much sunlight as possible. ARE SOLAR PANELS THE RIGHT OPTION FOR ME? It depends on where you live and how much you are currently paying for your energy bills. Use the Solar Savings Calculator to see how much the switch could save you.